What College Items Can I Use as a Tax Write-Off? Tuition and fees are above-the-line deductions for federal income taxes. 1. Can You Deduct a Child's College Dorm Room Costs? 3. Can a College Student Put Down a Tax Credit and Interest Deduction for College? Rising costs of tuition and other higher education expenses make federal income tax breaks for college costs attractive for many households. In addition to pre-college savings plans, these tax write-offs can reduce annual income tax obligations as well as adjusted gross income. Lower adjusted gross income results in more financial aid for a student. Tax write-offs include credits and above-the-line deductions for books, tuition and fees and student loan interest deductions. A tax deduction for tuition and fees of up to $4,000 is available to single taxpayers with an adjusted gross income below $65,000 and to married couples filing jointly with an AGI of less than $130,000. The deduction is reduced to $2,000 for singles with an AGI of between $65,001 and $80,000 and married couples filing jointly with an AGI of between $130,001 and $160,000. This deduction is also reduced if you use other tax-advantaged education funds to pay your schooling costs. Take the deduction directly on Form 1040 or 1040A, without having to itemize deductions on Schedule A. Married couples filing separately cannot claim this deduction. 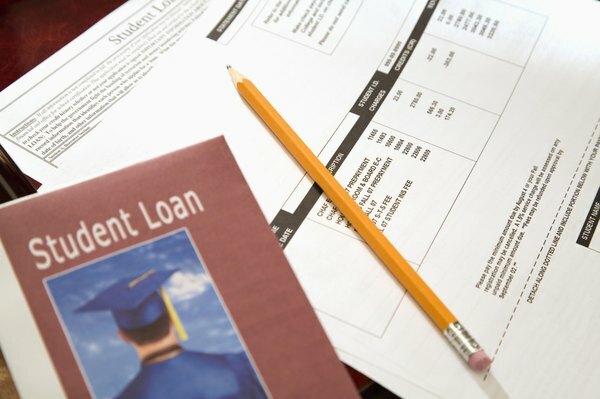 College loan interest may also be written off, subject to certain income restrictions. For single taxpayers with an adjusted gross income of less than $60,000 or married couples filing jointly with an AGI of less than $125,000, the maximum write-off is $2,500. This amount is phased out at an AGI of $75,000 and $155,000, respectively, for singles and married couples filing jointly. The American Opportunity credit permits deductions for: tuition; student-activity fees paid as a condition of enrollment and attendance; and expenses for books, supplies and equipment needed for a course of study. The credit is available for no more than four years of your own study, that of your spouse or that of any dependent you claim on your income taxes, provided that the student carries at least half of a full load of college coursework. This credit is phased out for adjusted gross incomes of $160,000 to $180,000 for married couples filing jointly and $80,000 to $90,000 for single taxpayers; married couples filing separately are ineligible for the credit. The Lifetime Learning credit is available for an unlimited time without restrictions as to course load. The credit can be used for tuition, student-activity fees, and expenses for course-related books, supplies, and equipment if the fees and expenses are paid to the institution as a condition of enrollment. The credit equals 20 percent of tuition and fees up to $10,000, for a maximum yearly credit of $2,000. TurboTax: What Are Qualified Education Expenses? Can You Claim Money You Gave to Your Kids for College as Deductions?